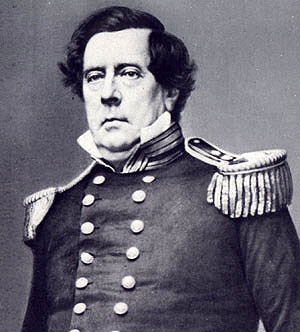 Matthew Perry (1794-1858), American naval officer, who commanded the expedition that established United States relations with Japan. Matthew Calbraith Perry was born on April 10, 1794, in South Kingstown, Rhode Island, the brother of Oliver Hazard Perry. He began his naval career as midshipman at the age of 15; he advanced to lieutenant in 1813 and to commander in 1826. He supervised the construction of the first naval steamship, the Fulton, and upon its completion in 1837 he took command with the rank of captain. He was promoted to commodore in 1842. In 1846-1847 he commanded the Gulf squadron during the Mexican War. In 1853 Perry was sent on the mission to Japan, a country that had been closed to outsiders since the 17th century. On July 8, he led a squadron of four ships into Tokyo Bay and presented representatives of the emperor with the text of a proposed commercial and friendship treaty. To give the reluctant Japanese court time to consider the offer, he then sailed for China. 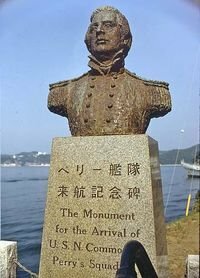 With an even more powerful fleet, he returned to Tokyo in February 1854. 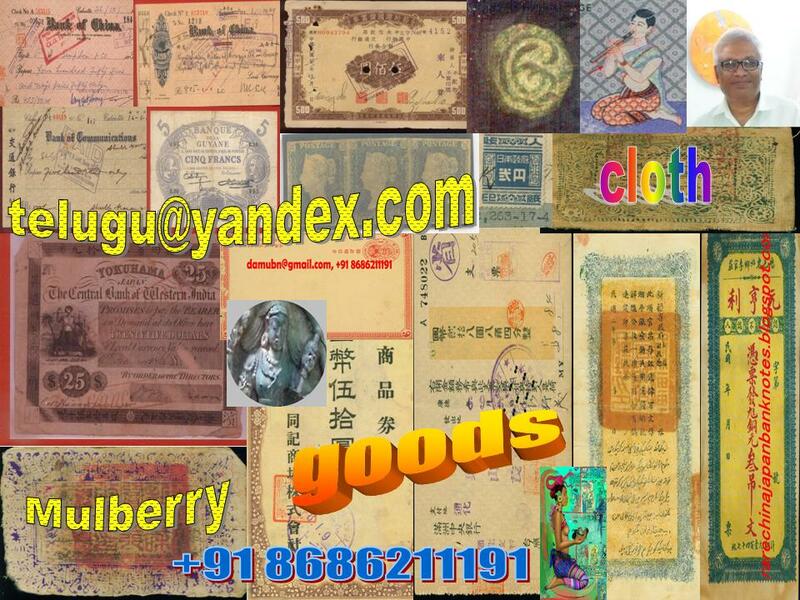 The treaty, signed on March 31, 1854, provided that humane treatment be extended to sailors shipwrecked in Japanese territory, that U.S. ships be permitted to buy coal in Japan, and that the ports of Shimoda and Hakodate be opened to U.S. commerce. Perry’s mission ended Japan’s isolation, a prerequisite for its subsequent development into a modern nation. Perry died in New York City on March 4, 1858.